Separate bedroom with T2 apartment with 1 double bed overlooking the canal / a bathroom with tub / fitted kitchen washing machine, dishwasher, refrigerator, hob and oven / large living room: dining room crossing with a convertible sofa 2 seats and an extra bed for 1 person opening onto a terrace of 10m2, mooring. View canal, harbor and sea. Activities: karting, sky diving, jet skiing, diving. Located on the Costa Brava between sea and mountain, in the largest marina in Europe, built on canals, just 7 km from Roses, 4km from Figueres. This luxury resort offers a variety of shops, restaurants, and plenty of activities to satisfy the most demanding. (Yachting / golf / mini golf / riding / disco / pub / museums / archaeological sites ...). 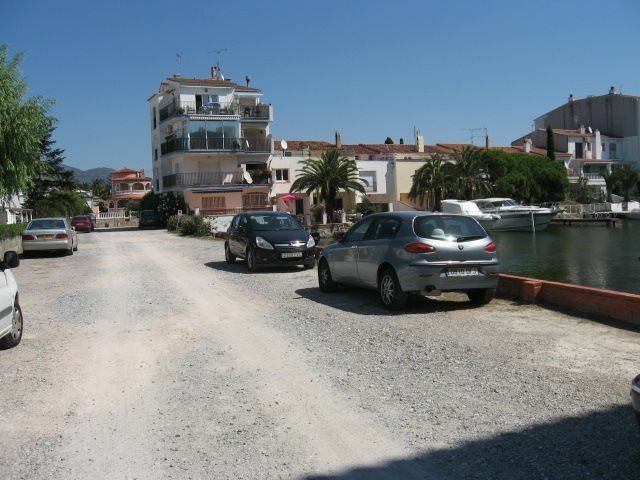 The marina opens to the Mediterranean by a beautiful sandy beach.